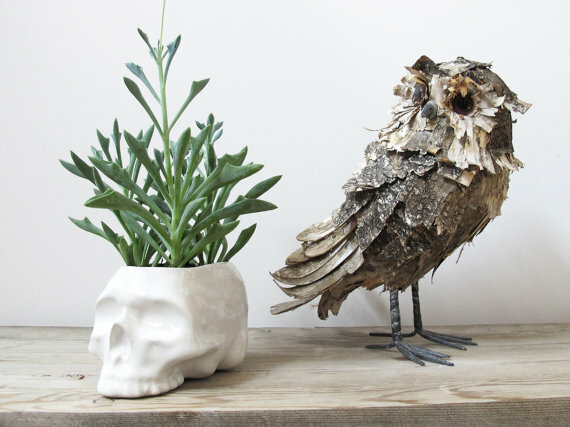 Skull planter - A Fickle Heart | style. travel. life. 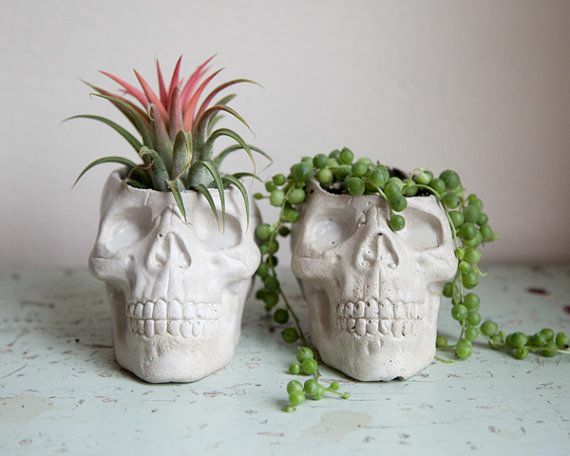 I have this thing with skulls. So when I found this ceramic skull "pencil holder" at the Mall of America (no longer available but here's a mini key chain version) I was a very happy girl. 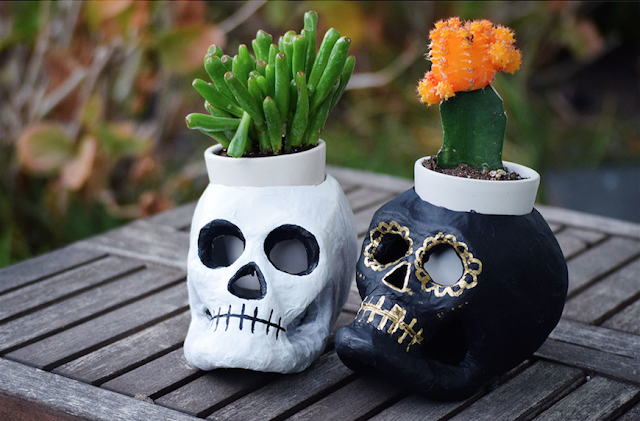 I immediately knew I was going to use it as a planter - I mean, have you seen how cute skull planters are? So I bought a succulent (okay my mom did), put some rocks in the bottom for drainage and made myself an adorable little desk planter. Tbh, I have the opposite of a green thumb and my poor little succulent has already paid the price. I over-watered during the replanting but I'm hoping it will dry out and rally! Planting advice: Succulents need like 0 water.